These wonderful sugared almonds take 5 minutes to mix up. They are the perfect thing to tie in a small sack on top of another gift, or to give when you need just a small thank you gift for someone. You might even want to keep some on hand in case someone drops by with an unexpected Christmas gift and you would like to bless them in return. Just be sure to make enough that your family can nibble on them too! I’ve adapted this from a recipe I originally found at the Robin’s Nest. Separate the egg, setting aside the yolk for a different purpose. Beat water and egg white until frothy. You can do this by hand or with a mixer. After mixture is frothy, add almonds and stir by hand until they are all well coated with the egg white mixture. In a separate small bowl mix sugar, cinnamon, nutmeg and salt. 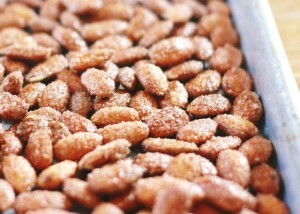 Pour sugar mixture over top of almonds and stir by hand until well coated. Spread nuts evenly on a dry baking sheet. Bake for 1 hour in a 225 degree oven, stirring half way through the time. Remove from oven and scoop onto some foil or waxed paper to cool. 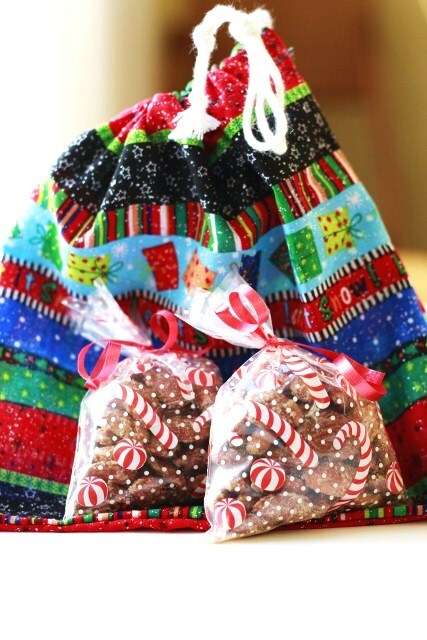 Package in one or two-cup quantities in clear cellophane bags decorated with curly ribbon, or perhaps in another pretty gift bag. Hi there! I’ve been looking for a few good ideas for homemade gifts this year, so thank you! Can you tell me how many 2 cup gift bags you get out of this recipe? As a homeschool mom of both biological and adopted children, I love your blog! 2 pounds will get you about 7 cups. Last year I used 10 pounds of almonds. This looks like something we’d enjoy – we love almonds! Do you use salted almonds, or raw? Just wondering if this would be a way to use up some raw almonds we have in the pantry. I, too, am wondering if you use salted almonds or raw. Thanks for the recipe. 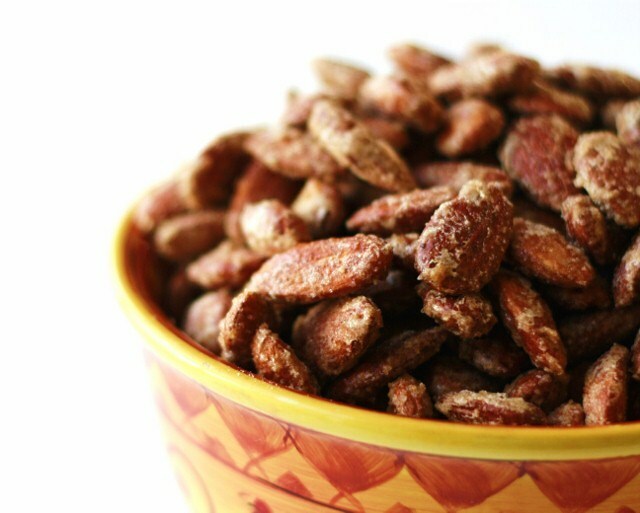 I was just thinking this morning that candied nuts would be a good gift for some people on my list, and I was planning to look for a recipe…you saved me the trouble! At an outdoor market where I live, a tiny bag (maybe a couple of ounces) of fresh-made candied nuts costs $6! If you don’t have the time to make these, Blue Diamond makes awesome Cinnamon Brown Sugar almonds, as well as a Sea Salt flavor. Think I might make these for the men in my life. They are always so hard to buy Christmas presents for. Last year, I made up several batches of cookie dough and frozen it in little round balls to give to my dad. That way he could just throw a dozen in the oven when he needed a sugar fix. Of course, my mom liked it too because she didn’t have to bake for awhile. Don’t forget to put back in the freezer after they open it! Ok, um. YUM!!! I bet you could maybe do the same thing w/ pecans?? Ooh, I’m so making these for teacher thank you gifts! And maybe some for our family! I have a batch in the oven right now! Just yesterday I pulled out a big bag of raw almonds and was trying to figure out what to do with them. Perfect timing! I made some to take to my Bible study group…they are very yummy, but it almost seems like something is missing. Have you ever tried mixing in a little vanilla extract with (or perhaps instead or) the water? I may try that next time, along with maybe an extra teaspoon of cinnamon. I guess I like stronger flavors. Still, this is a good basic recipe. Thank you! 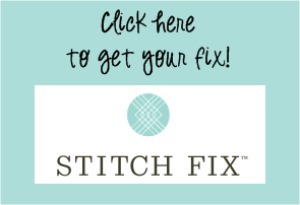 Thanks for sharing, I’ve posted a link to this recipe on my site! Now I know what I’ll be doing after work today! I can’t wait to try this recipe out! 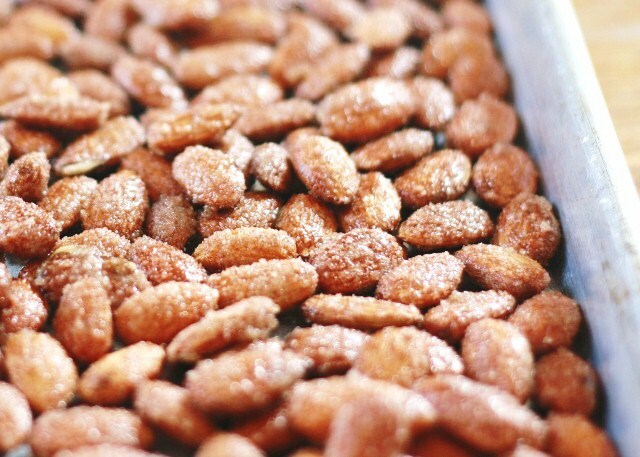 Do the almonds keep well after they are done? Should they be stored on the shelf or in the fridge? Or are they just so good that they have never lasted long enough to tell? :)I am just wondering if I can get an early start on Christmas gifts with these. Thanks so much for sharing! I was wondering how long how long these would last too. I have a smaller family, and am not ready to give out gifts, but want to start my holiday baking! Should they be stored in the freezer? Or just in an airtight container? Thanks – it sounds good! I want those necklaces! All of them. Is that to much to ask for? Christmas is coming….